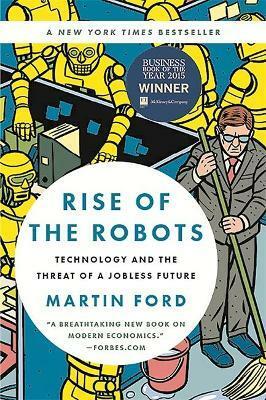 Winner of the 2015 FT & McKinsey Business Book of the Year Award A New York Times Bestseller Top Business Book of 2015 at Forbes One of NBCNews.com 12 Notable Science and Technology Books of 2015What are the jobs of the future? How many will there be? And who will have them? As technology continues to accelerate and machines begin taking care of themselves, fewer people will be necessary. Artificial intelligence is already well on its way to making good jobs" obsolete: many paralegals, journalists, office workers, and even computer programmers are poised to be replaced by robots and smart software. As progress continues, blue and white collar jobs alike will evaporate, squeezing working- and middle-class families ever further. At the same time, households are under assault from exploding costs, especially from the two major industries,education and health care,that, so far, have not been transformed by information technology. The result could well be massive unemployment and inequality as well as the implosion of the consumer economy itself. The past solutions to technological disruption, especially more training and education, aren't going to work. We must decide, now, whether the future will see broad-based prosperity or catastrophic levels of inequality and economic insecurity. Rise of the Robots is essential reading to understand what accelerating technology means for our economic prospects,not to mention those of our children,as well as for society as a whole. Martin Ford, the founder of a Silicon Valley-based software development firm, has over twenty-five years of experience in computer design and software development. The author of The Lights in the Tunnel: Automation, Accelerating Technology, and the Economy of the Future, he lives in Sunnyvale, California.